This weekend the wife and I are headed to Shea’s Performing Arts Center for the highly anticipated Phantom of the Opera show! While the show itself has always been a favorite of ours, just the act of attending a show at Shea’s remains one of our all time favorite things to do in Buffalo. Originally opened in 1926, the beautifully ornate theater is modeled in a combination of Spanish, French Baroque and Rocco styles to resemble Opera houses from the 17th and 18th century. Also boasting one of the few theater organs in the U.S still in operation and incredible Tiffany chandeliers, Shea’s is the perfect venue for Phantom of the Opera. 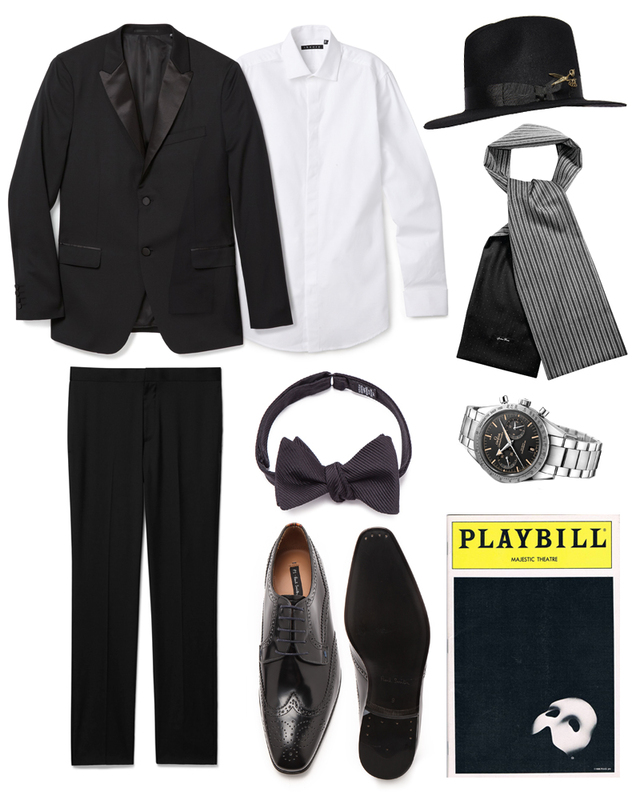 Naturally, while attending the theater, it is always a sign of good form to show up dressed in your best. That’s why I’ve opted for this classic tuxedo look with a slight Dandy flair. The slim, updated cut of the tux paired with this incredible scarf and hat combo from England-based bespoke tailor Joshua Kane completes an outfit that the Phantom himself would be jealous of.